WASHINGTON (Reuters) – White House national security adviser John Bolton said on Monday Pakistan’s foreign minister has assured him Islamabad is committed to de-escalating tensions with India and dealing “firmly” with terrorists. Bolton’s comments follow a Feb. 14 suicide bombing, claimed by Pakistan-based militants, which killed at least 40 Indian paramilitary police. “Spoke with Pakistani FM (Shah Mehmood) Qureshi to encourage meaningful steps against JeM (Jaish-e-Mohammed) and other terrorist groups operating from Pakistan,” Bolton said on Twitter. “The FM assured me that Pakistan would deal firmly with all terrorists and will continue steps to deescalate tensions with India,” Bolton added. Pakistan, which denies Indian accusations of aiding militant groups, last week announced a crackdown against all proscribed outfits. Pakistan’s foreign ministry late on Monday said Qureshi informed Bolton “about the de-escalatory measures taken by Pakistan” in the wake of the aerial bombing missions carried out by both countries in late February. Qureshi told Bolton that Pakistan’s strike in Kashmir on Feb. 27 was in self-defence and retaliation to India’s raid on its territory a day earlier. New Delhi said it hit a JeM training camp in Pakistan, but Islamabad denies any such camp exists. 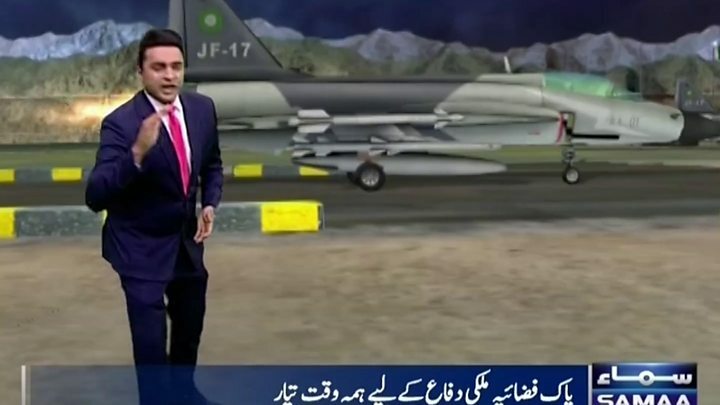 The two countries fought an aerial dogfight over Kashmir on Feb. 27, and a couple of days later Pakistan returned a downed Indian pilot in a gesture that appeared to de-escalate the crisis. German Foreign Minister Heiko Maas, in a joint conference with Qureshi, commended Pakistan on Tuesday for returning the pilot and offering talks with India. But he also urged Islamabad to stamp out militant groups which attack neighbouring countries. 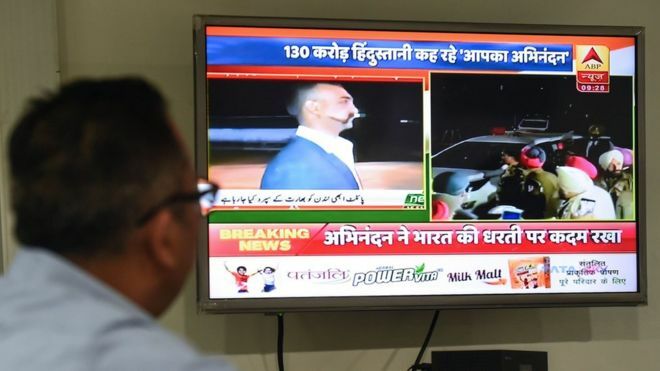 Wing Commander Abhinandan Varthaman, who became the face and symbol of the biggest clash between India and Pakistan in many years, walked across the border just before 9 p.m. (1600 GMT) on Friday in a high-profile handover shown on live television. Shelling across the Line of Control (LoC) that acts as a de facto border in the disputed Kashmir region, a frequent feature in recent weeks, continued on Saturday. Pakistan’s military said on Saturday its air force and navy “continue to be alert and vigilant”, while two of its soldiers were killed after exchanging fire with Indian troops along the Line of Control. India’s military said on Saturday that Pakistan was firing mortar shells across the LoC. 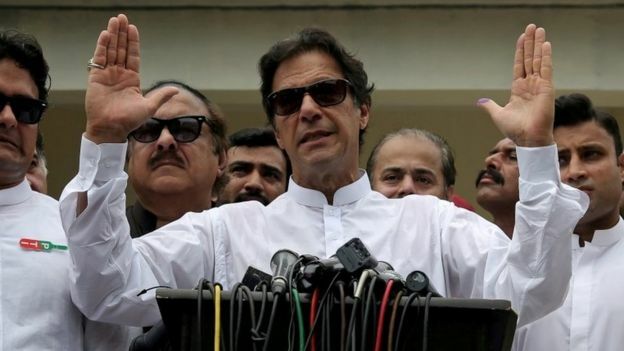 Pakistan touted Abhinandan’s return as “as a goodwill gesture aimed at de-escalating rising tensions with India” after weeks of unease that threatened to spiral into war after both countries used jets for bombing missions this week. 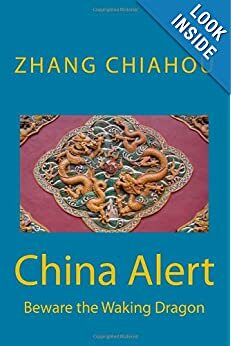 Global powers, including China and the United States, have urged restraint to prevent another conflict between the neighbours who have fought three wars since independence from Britain in 1947. 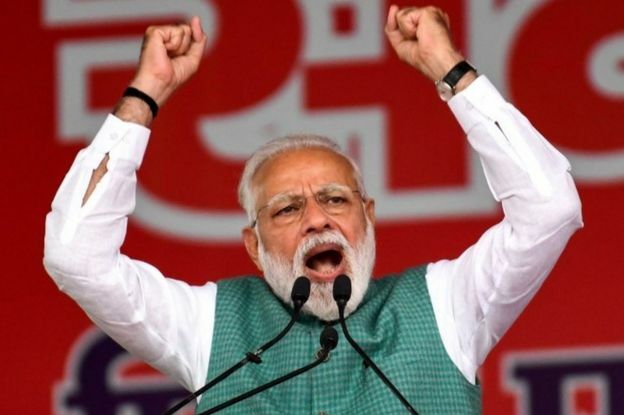 India accused Pakistan of harbouring the Jaish-e Mohammad group behind the attack, which Islamabad denied, and Prime Minister Narendra Modi promised a strong response. 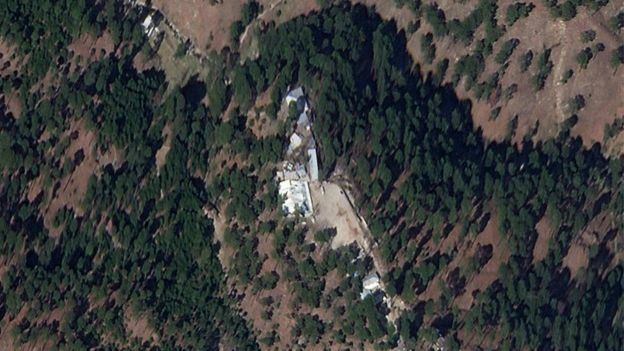 Indian warplanes carried out air strikes on Tuesday inside Pakistan on what New Delhi called militant camps. Islamabad denied any such camps existed, as did local villagers in the area, but Pakistan retaliated on Wednesday with its own aerial mission, that led to both sides claiming to have shot down jets. 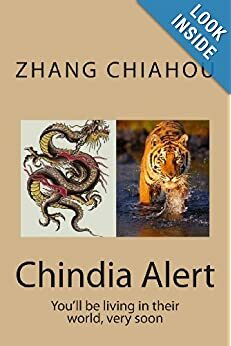 The stand off came at a critical time for Modi, who faces a general election that must be held by May and who had been expected to benefit from nationalist pride unleashed by the standoff. 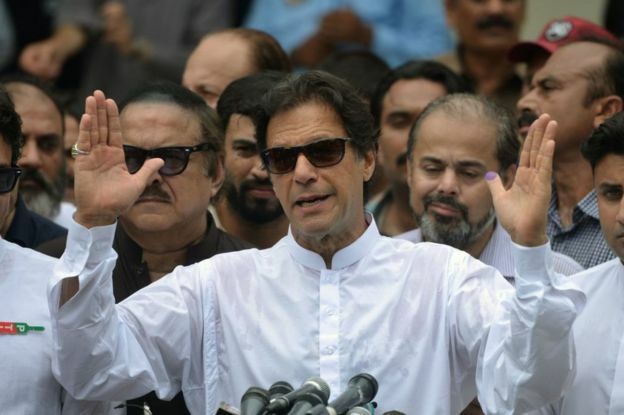 Pakistani leaders say the ball is now in India’s court to de-escalate the tensions, though the Pakistani army chief told top military leaders of the United States, Britain and Australia on Friday that his country would “surely respond to any aggression in self-defence”. 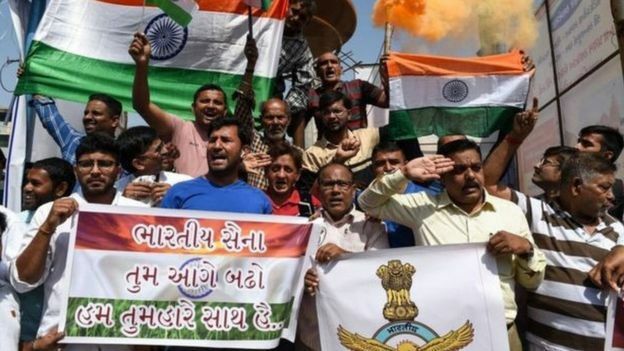 The Indian pilot’s ordeal since being shot down on Wednesday had made him the focal point of the crisis and he returned to his homeland to a hero’s welcome, with crowds thronging the Wagah border crossing and waving Indian flags. 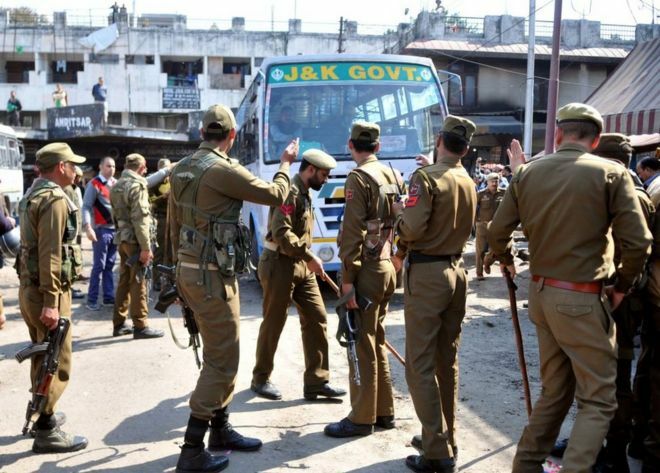 On Friday, four Indian troops and one civilian were killed in a clash with militants in the Indian-administered Kashmir, where a further three people were killed and one wounded from Pakistani shelling. Pakistan’s military said two civilians were killed and two wounded since Friday afternoon on Pakistan’s side of Kashmir from a barrage of Indian shelling. In a sign of the unease, residents say they are afraid another conflagration is likely. “The way situation is developing along the LoC makes me feel that both sides may collide head-on anytime now,” said Chaudhry Jahangir , a Pakistani resident of the Samahni sector in Kashmir. AMSTERDAM (Reuters) – India asked the World Court on Monday to order the release of an Indian national sentenced to death by Pakistan, saying Islamabad had failed to allow him diplomatic assistance before his conviction, as required by an international treaty. The hearings at the U.N. court, formally known as the International Court of Justice (ICJ), revolve around the case of Kulbhushan Sudhir Jadhav, a former Indian navy commander who was arrested in Pakistan in March 2016 and convicted of spying. Hearings in the case, which will run for four days, come at a time of intense tension between the nuclear-armed neighbours, as Indian Prime Minister Narendra Modi has warned of a “strong response” to a suicide attack on a convoy in Kashmir last week that killed 44 Indians. “It would be in the interest of justice, of making human rights a reality, to direct his (Jadhav’s) release,” said Harish Salve, India’s senior counsel. Pakistan is due to respond at the ICJ on Tuesday. Officials in Islamabad said ahead of the hearing that India was trying to use the court intended to resolve international disputes as a criminal appeals court. They also said the relief sought by India is disproportionate even if the treaty were violated, and at most Jadhav’s case could be reviewed. India filed a claim against Pakistan before the ICJ in May 2017 arguing Islamabad had breached the 1963 Vienna Convention by not allowing diplomatic assistance to Jadhav during his secretive trial. India won an injunction that ordered Jadhav’s execution stayed while the court looked into the case. No date has been set for a ruling, which will likely come months after the close of the hearings. The ICJ is the U.N.’s highest court, and its decisions are binding — though it has no power to enforce them and they have been ignored in rare instances. The 1963 treaty has been a frequent source of cases before the ICJ. A 2004 ruling led the United States to review the cases of dozens of Mexican citizens on U.S. death row after they were found not to have been granted consular access.